MONTREAL -- A sophisticated money laundering ring with international tentacles was behind hundreds of millions of dollars in transactions until it was dismantled this week, federal authorities said Tuesday. 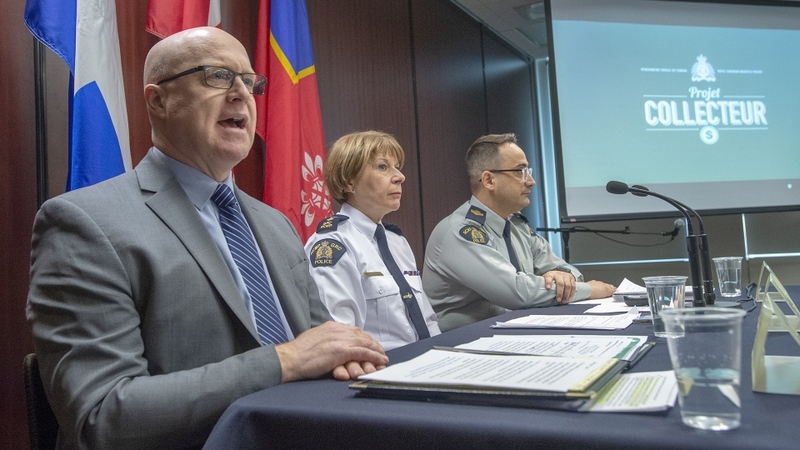 The RCMP told a news conference its probe -- dubbed "Collector" -- uncovered a network with cells in Montreal and Toronto that collected and laundered money primarily from Montreal criminal groups. Police did not look further into organized criminal groups that allegedly used the group's services -- there were at least six -- but investigators have no doubt they played a big role in cleaning dirty money. 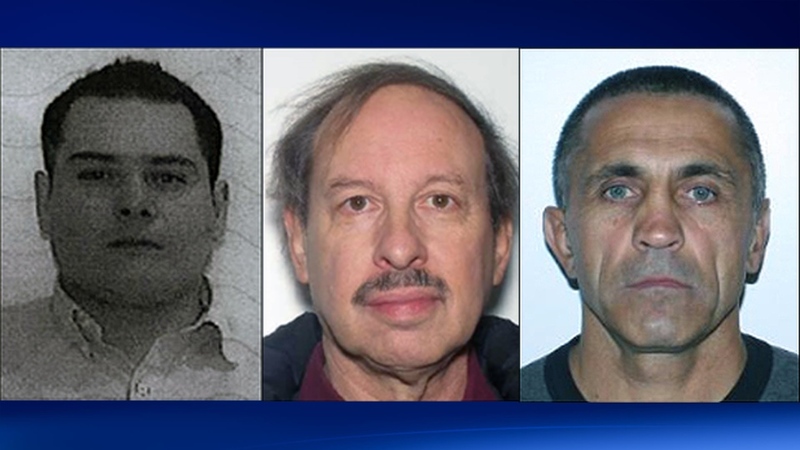 From left to right, Francisco Javier Jiminez Guerrero, 35, Frederick Rayman, 77, and Victor Vargotskii, 56, remain at large.